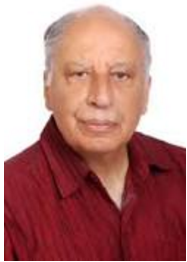 Keki N. Daruwalla is a major Indian poet and short story writer.He has written over 12 books and published his first novel For Pepper and Christ in 2009. He was one of the leading writers to return his Sahitya Akademi Award in protest against growing intolerance in India in 2015. Random thoughts on Random Justice: "It Starts With the First Information Report"